A note from Andrew: We’ve been getting our meat and eggs from Wendy for a few years now, and it’s always a pleasure to see her for our biweekly pickup. We’re incredibly lucky to have a direct connection with the person who is growing our food. As October approached, I asked Wendy if she’d share her story with you, and of course, she enthusiastically agreed. It’s important we support those who make farming their life’s work, so…read on! My name is Wendy. I am 45 years young, and I have spent the past 20 years being a wife and mommy. I felt it was my responsibility to take care of my family, especially when my husband was diagnosed with cancer about ten years into our marriage. At the time our three children were all under the age of seven. It was very traumatic to see him so ill; I had also struggled with weight and thyroid issues for many years. Our children were chubby and my oldest son was diagnosed with costochondritis, which is inflammation of the cartilage in his chest. He was in severe pain for three years. I also saw many friends and family members struggle with depression, and illness. After years of health issues and pain, I started to think that it was something in our food. I hit the books and the web to find answers on the best treatments available and how to heal my family. Around the same time I started my research, I had also decided to go back to work so I could support our family financially. I found a job working as a manager overseeing farmers markets. I loved that job and learned so much from the farmers about food. 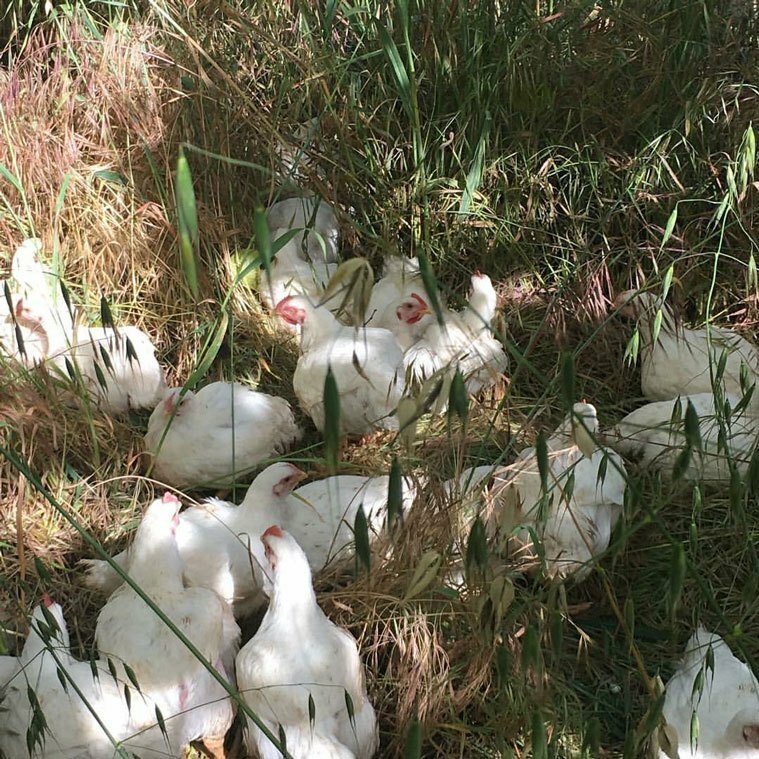 I met a farmer who was raising chicken for eggs and livestock for meat, and selling it all at the farmers markets. I loved knowing where my proteins came from, seeing first-hand how they were raised, what they ate and what a blessing it was to actually know the farmer responsible for it all. Soon I was ready to move on from managing farmers markets and wanted to learn more about raising food that was healthier for my family, so I asked her for a job. I worked for her for five years and absolutely loved what I was doing. I became her “right-hand gal” and learned everything I could. Eventually, she asked if I wanted to take on her animals (moving them to another farm) and that she would mentor me while I built my business. I needed to find a new location and a new name for the business, and find an experienced farmer to help me with the animals. Finding a farm was the hardest part. Because I didn’t have any capital, my best option was leasing space on an existing farm and hiring the farmer that lives there to help me raise the chickens. However, the chicken house was built in the 1940s and was extremely primitive. Everything was falling apart and we had to thoroughly clean it – I swear, there was still primitive chicken poop embedded in the floor! Scraping it all was a huge job, but with my family and a few friends we got it done and moved the chickens in. Then I heard about a farm in the Casitas Valley that was already raising pigs, so I set up a meeting with the owner and the farmer. We sat at a little picnic table at their farm and I told them my dream and vision for how I wanted to raise my animals holistically. 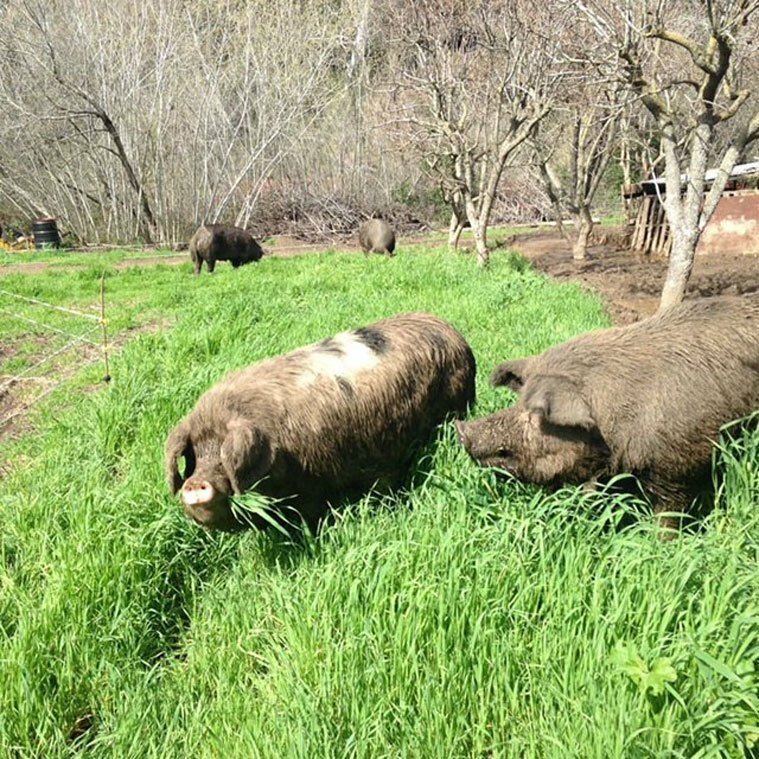 The farmer is “old-school” from Argentina and as we chatted, I found him to be so intuitive — we shared the same vision — I knew instantly that I had met “my farmer.” He showed me his pigs that he was raising on pasture and in organic orchards, and I KNEW I need to have my pigs there. Meeting that farmer was the best thing that could have happened to me. We moved all the pigs over the very next week, but then observed that the pigs were rambunctious and violent with each other. He told me that the pigs had been eating a diet that was filled with GMO grain, soy, and corn and that by feeding the animals this way, it affects them not only physically but neurologically. He told me to observe the changes as we started to feed them organic produce, droppings from the orchards, and a non-GMO, no-soy, no-corn feed. It was amazing–the change was dramatic within a few weeks! I was blown away. The pigs were calm and their skin and hair became shiny and vibrant. Meanwhile, back on the other farm, the chickens weren’t doing very well. 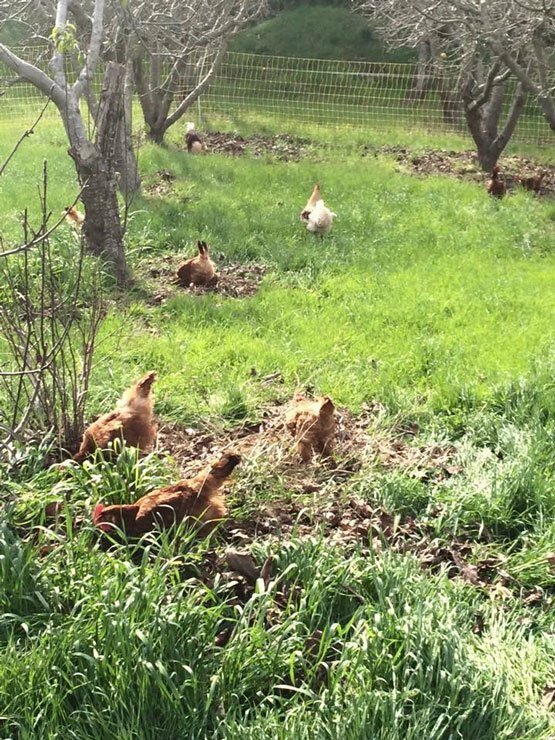 We put up a solar-powered electric fence to keep the chickens contained (and safe from predators) and opened the doors of the primitive chicken coop so they could forage on a grassy area in the sun. They seemed so happy with this and seemed to be enjoying this new set up, how they were meant to live. Our victory was short-lived though. We found that coop was infested with mites! We were still having to clean massive amounts of chicken poop every week from the concrete floor and the chickens were sick and still dying at an alarming rate. We just needed to move them, so the farmer asked the farm where our pigs were if we could move the chickens there, too. Thankfully, the farm agreed. Seeing them in pastures, under the orchards, was the best thing I had seen in a long time. Game changer! I was still short on money and only selling in five farmers markets each week. Feeding the animals, leasing space, paying the butcher, packaging, insurance, etc., was all getting to be too much. One night, when I was really struggling, I drove out to the farm on a Saturday night under a full moon and cried with the pigs because I didn’t have enough money to feed them. I was completely overwhelmed and emotionally exhausted . But I resolved within myself that I didn’t come this far to give up and that I WOULD find a way to work things out. The very next morning, at the Ojai Farmers Market, a lovely couple who are long-time customers amazed me by driving up from Pasadena. They said that they “felt” I was struggling and brought me a $1,500 check to take care of feeding the animals and rent for the month! Then one of the farms where I was leasing space also gave me a break on rent for a few months so that I could get ahead. I cried with relief, realizing with humility and awe that at every fall, I was picked up and put back on my feet. 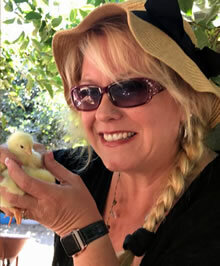 As time went on, I was able to slowly add more farmers markets and grow sales, and was introduced to a farmer who agreed to raise my meat birds and cattle for me on his sprawling acres of pasture overlooking the ocean up in Gaviota. Since I am leasing space at two different farms, I’m not really free to expand my product line or grow my operation, so this is putting a big strain on the business expenses by adding a lot more time, labor, and expenses. I had to rent a workshop in Ventura to be able to store all my products, pack eggs, and contain all our farmers markets supplies (canopies, tables, signs, bins, coolers and egg boxes). All our market managers come to the workshop to load/unload their supplies before and after each market. And, since I don’t own and live on the farm, I am not able to give tours of the farm spontaneously to customers or restaurants who might want to see it, as that needs to be scheduled ahead of time with the farm. Raise beautiful, purposeful animals the way nature intended them to live. Have bountiful community gardens and orchards bearing produce to sell at local farmers markets, boutique health food stores, and restaurants. Host classes and workshops where we can teach others how to garden, raise animals, prepare wholesome food, and connect with each other and the earth. 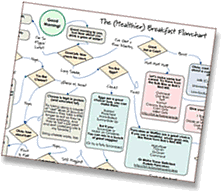 Showcase permaculture and sustainability at its finest. Develop a community kitchen to gather friends to share and eat. By creating this “dream” farm, I would be able to lower the carbon footprint of the operation of the farm, and keep everything more local, which would benefit the farm, the animals, and our customers. I am an extremely hard worker with a heart for the community. My days never feel like work; it is a complete joy and honor to be doing this and I am incredibly passionate about what I am doing. I have worked 60-80 hours a week for the past two years to get to where I am. I feel like I have come a very long way and have many faithful helpers and customers who have seen it and love supporting me. 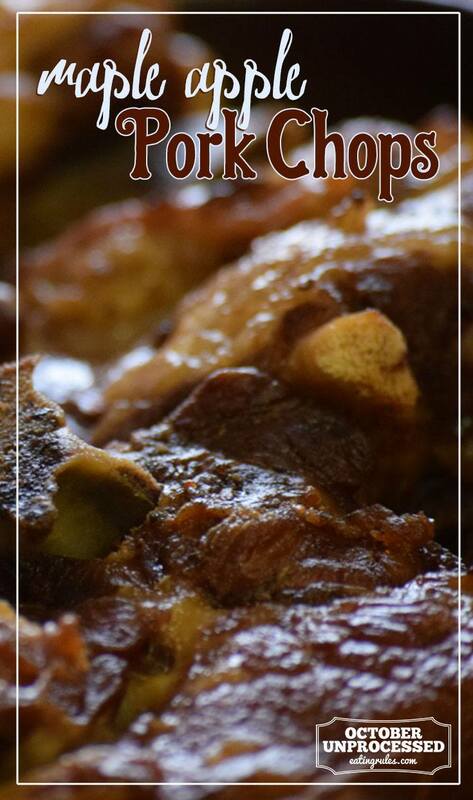 Simple ingredients pair sweet and savory in this impressive pork chop recipe. Dice the apple and pear into 1/2" cubes, and place in a large bowl. Dice the red onion, and add to the bowl. Add the apple cider vinegar and maple syrup to the bowl, and toss all ingredients until evenly covered. Lay half of the fruit mixture onto a large, cast-iron pan. 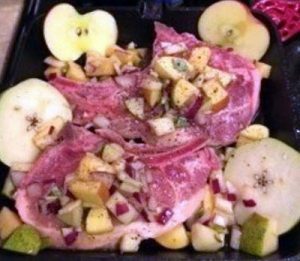 Then set the pork chops on the bed of fruit. Sprinkle salt and pepper liberally on the chops, then top with remaining fruit. Bake at 350 F for 30 minutes, until the chops are fully cooked. Heat a large skillet on medium-high heat. With a tongs, shake off the fruit from the chops, and sear them in the hot pan, about 1 minute on each side. 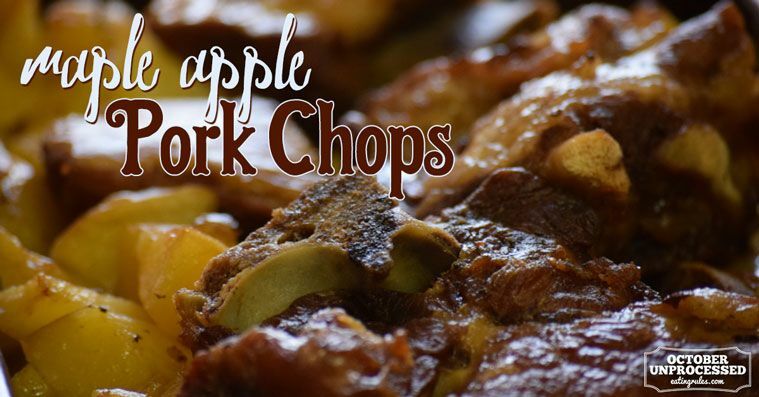 Place each chop on a plate, garnish with the fruit mixture, and enjoy! 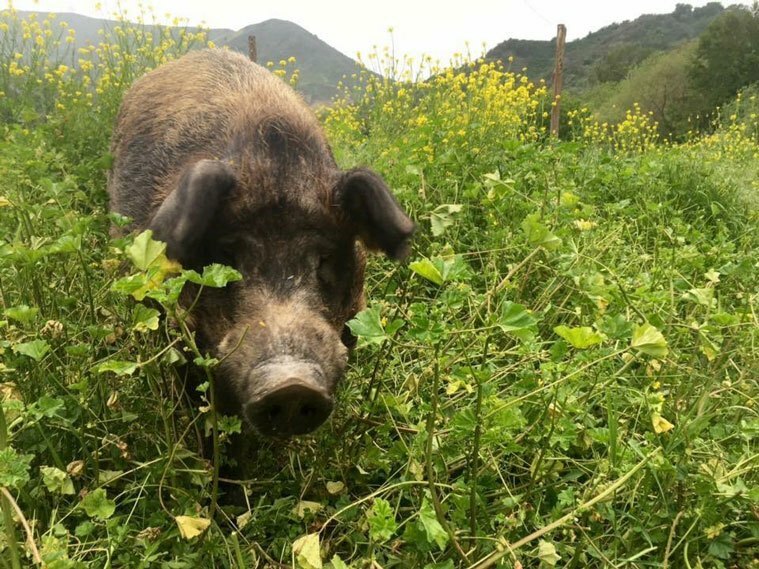 Wendy Marchant and her family chose to raise animals in certified organic pastures in California because, like many people, they were concerned about where their food was coming from. After facing many health challenges, Wendy began researching the ways food could impact the health of her family and out of that research, Harvest Gathering Farm was born. Wendy is blessed to be apart of the co-op farm, as she is working to save money to purchase her own farm. You can find Wendy on Facebook and Instagram.